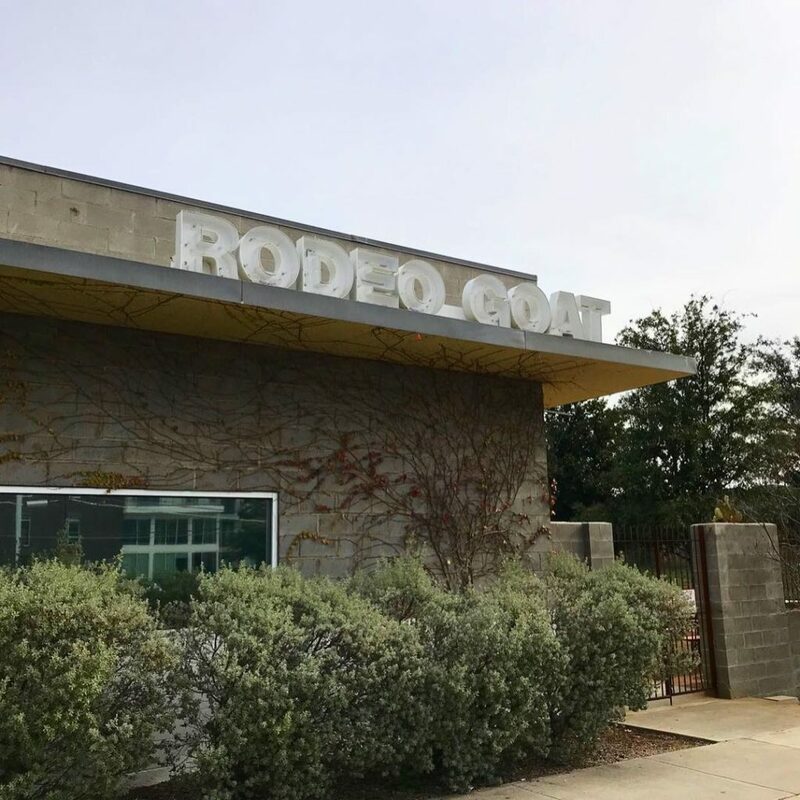 This week’s #FridayFeed restaurant branding review is Rodeo Goat Icehouse on Market Center Blvd. with celebrity guest, Mike Snyder. Rodeo Goat has 5 locations. Full disclosure-I’ve been here 5 times. 4 of the 5 times I got the Terlingua Burger. Let me give you the description so you can enjoy it in its full glory: Terlingua Burger: havarti, homemade brisket chili, onion, corn chips, garlic-herb mayo. Mike Snyder (Brinker, Corner Bakery, Newk’s Eatery and currently Partner in Ecotrack), was my “celebrity guest” on this visit. He ordered The Brad Sham. 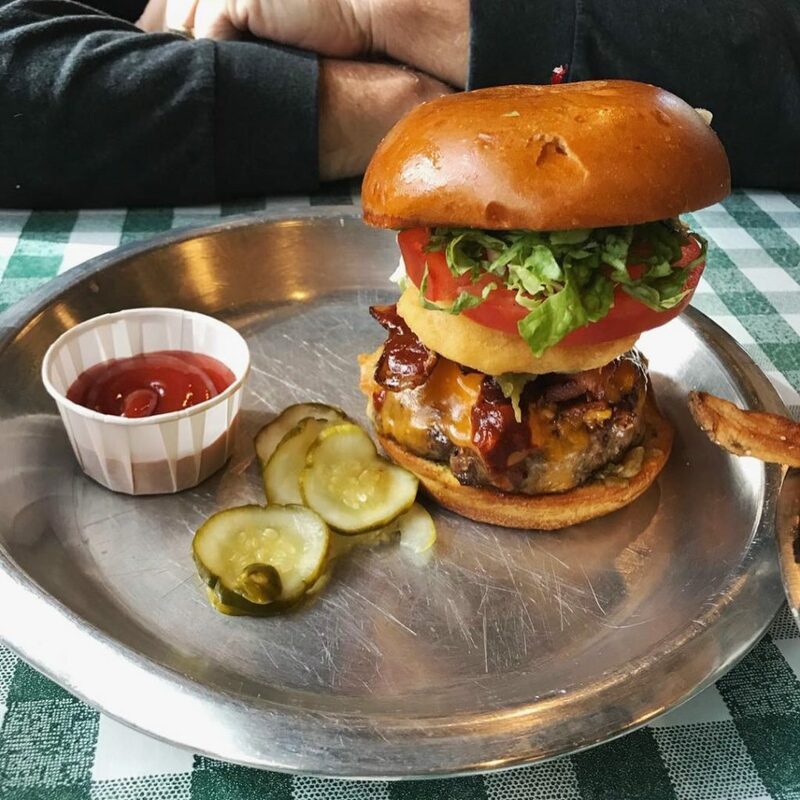 Measuring 5” tall, this burger has bacon, beefsteak tomato, jalapeños, fried onion, cheddar, pickle chutney, and house made bbq sauce. We shared a basket of fries because Foursquare said they were the #1 place for fries in Dallas/Fort Worth. I’ve got hot sports opinions (unwikit) about fries so I don’t agree, but hey, I tried them, again, in the name of research. The interior is big and open with high ceilings. Cinder block walls, concrete floors, lots of high community tables pretty much sum up the interior. Aluminum gate room dividers, kind of (exactly) like a livestock pavilion, separate the space between the high tables and a room with upholstered booths. I wouldn’t call it cozy but it matches the brand so there you go. 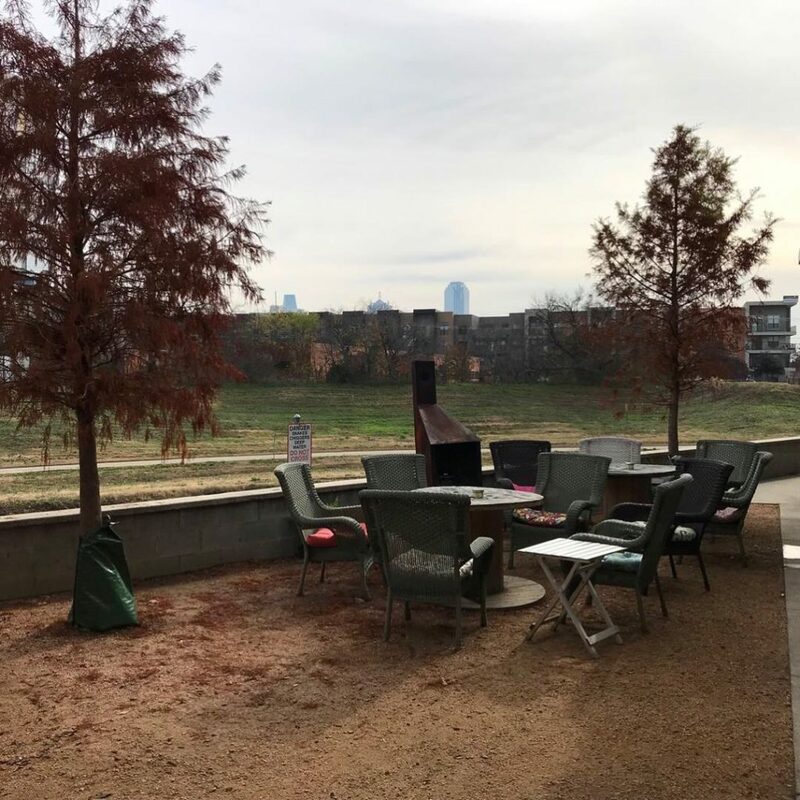 There is a huge outdoor patio with picnic tables, yard games and a view of the “Elm Fork” of the Trinity river which hasn’t really come into it’s own yet. Looks like a grassy ditch but better than looking at concrete and cars and there’s a pretty good view of the city. On the subject of branding, one of Rodeo Goat’s slogans is “WE GRIND SO FINE!” and they warn that the patties may be juicer and messier than everybody else’s. This is true and it is excellent brand positioning! I didn’t see any branded packaging, no logos on cups, napkins, etc. I DID buy a cool long-sleeve goat t-shirt though. Founder Willard “Daddy-O” Watson’s story about “How I Got The Goat” is a great read (located on the backside of the menu). I also love brands with “people” behind them. Mike Snyder, former VP of Development at Newk’s Eatery and I worked together on the Gen 2 store redesign. 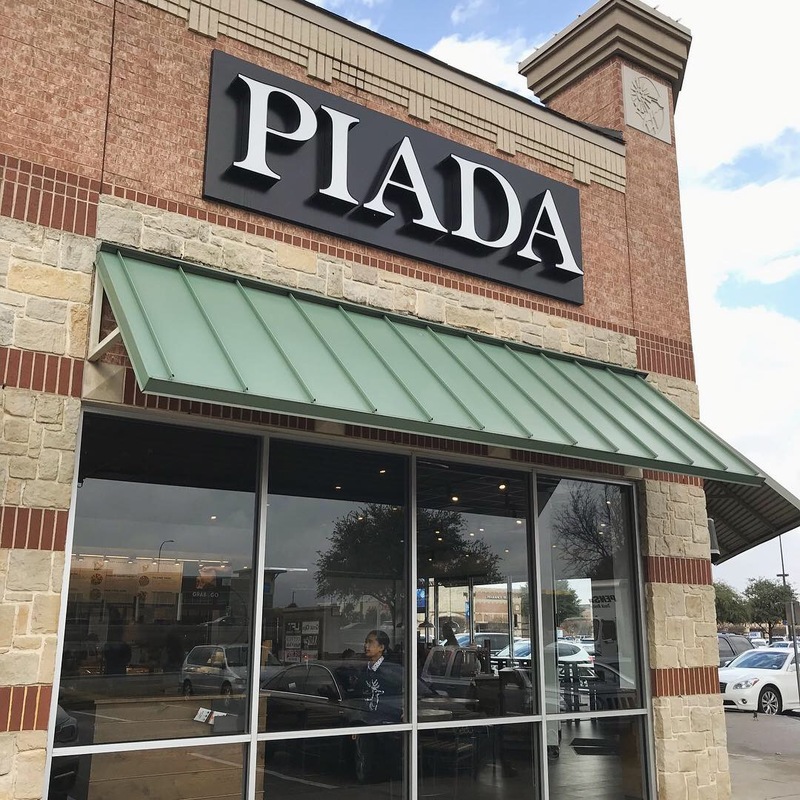 We once remodeled a store together in one night! They’ve got lots of INK. People love this place. 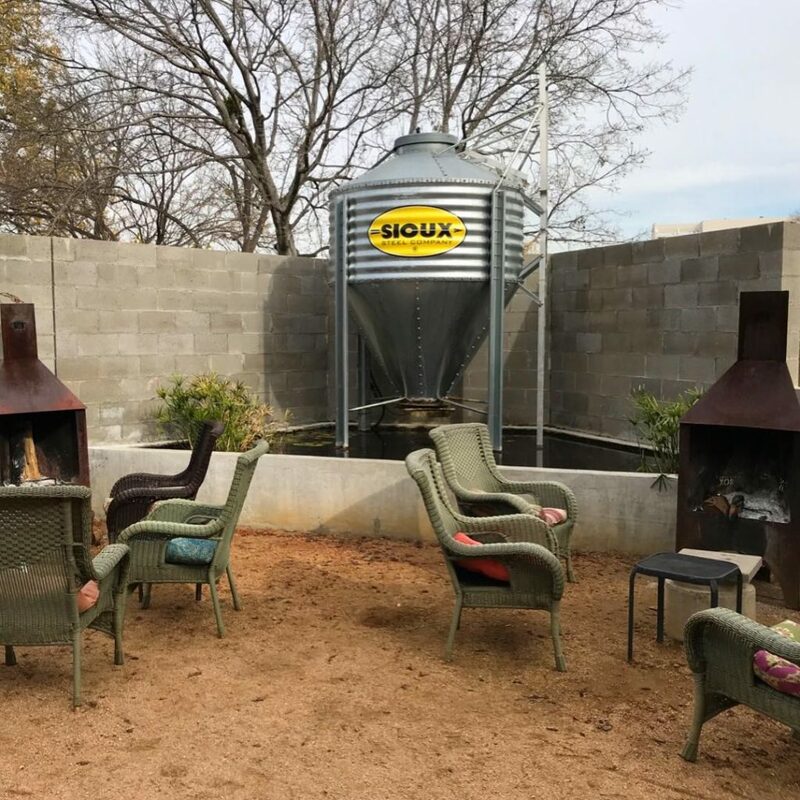 They’ve been featured in Fort Worth Magazine, Dallas Observer and Thrillist just to name a few. I don’t like websites that force me to choose a location before I am let into the site. However, I discovered that the locations have some different menu items based on location. Food photography on the website is obviously taken in-house. Instagram rocks great food photos, however. Website does an ok job for information but could be much better. MJ gives it an A for the Terlingua burger because that might be the only thing I ever order, ever. I’ll go A for branding. Room for improvement on the website. Mike gives Rodeo Goat a solid B.